This special Bakehouse Studios secret rehearsal welcomes the team from African Drumming into the pavilion. 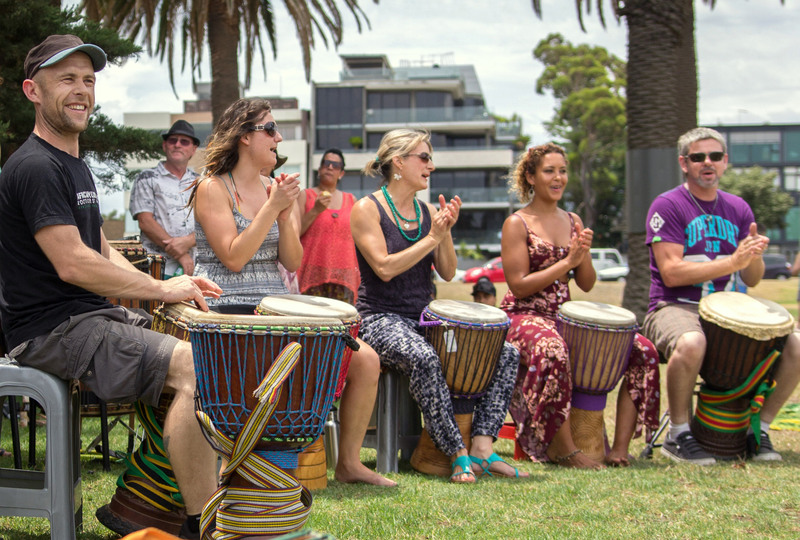 Established in 1997, African Drumming is dedicated to sharing the music and culture of West Africa in everything it does: through classes, workshops, study tours and performances connecting a wide audience with powerful music. It is also one of the largest African music stores in Australia. With a nationwide network of drummers and dancers, the African Drumming team includes performers and drum-makers from around West Africa—including Mali, Senegal and Ghana—and Australian talent too. Come along and join in the Monday-arvo fun.